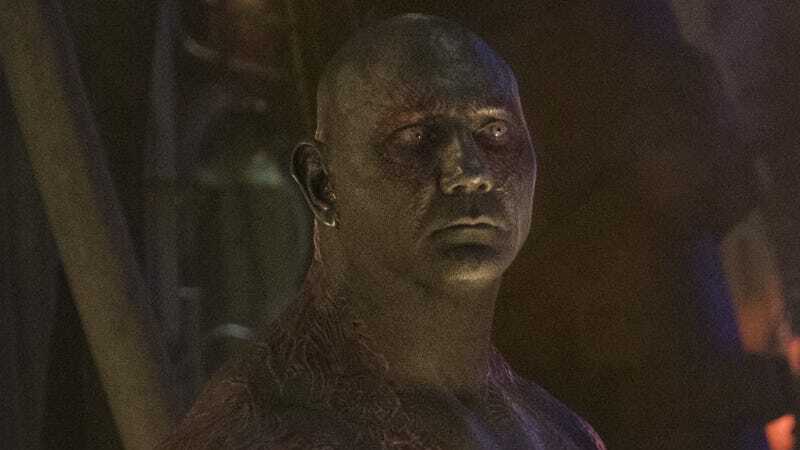 Dave Bautista, seen here in Avengers: Infinity War, just took his support of director James Gunn to another level. Most experts believe Disney will not rehire Gunn as the film’s director but there’s been no indication yet if the studio plans to use his script or not. Gunn had been working on the script for months and was either close to finishing, or just handed in, an early draft. io9 has reached out to Disney for comment on Bautista’s latest statements and will update should we hear back.